The Formatt Hitech Resin Neutral Density (ND) Reverse Grad filters produce a grey neutral effect and are used to reduce light entering the camera, enabling control over exposure and depth of field without affecting color or contrast. The ND Reverse Grad filters are lightest at the top and increase in density toward the center, then feature a hard edge transition to clear at the center of the filter. This specialty filter is especially useful just after the sun has set where a bright band of light is at the horizon fading to dark at the top of the frame. 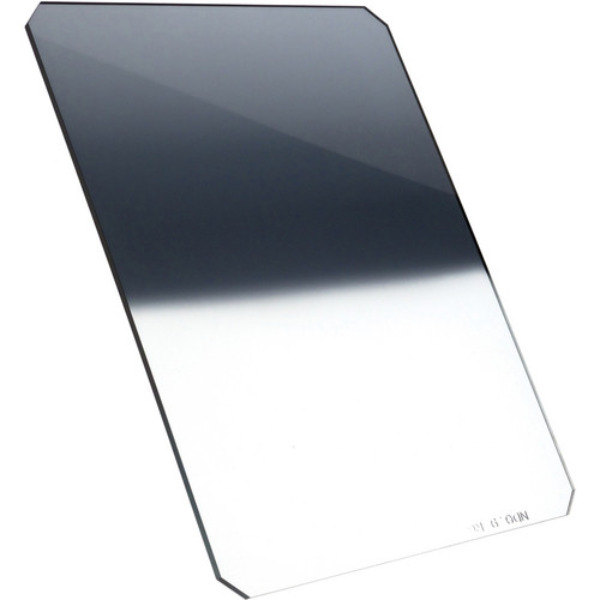 The Formatt Hitech Resin ND Reverse Grad filters are made in different densities according to the level of light reduction from 1 stop to 3 stops of light and are made from the highest quality 1.5mm optical resin. This is a 85x110mm 0.9 (3 stops) Formatt Hitech Resin ND Reverse Grad filter.